If you read any of the prophets and even the apostle’s letters, in the very beginning they always write that it was God Who called. Not once in the Bible did a man call themselves. If they did, they wouldn’t be qualified. 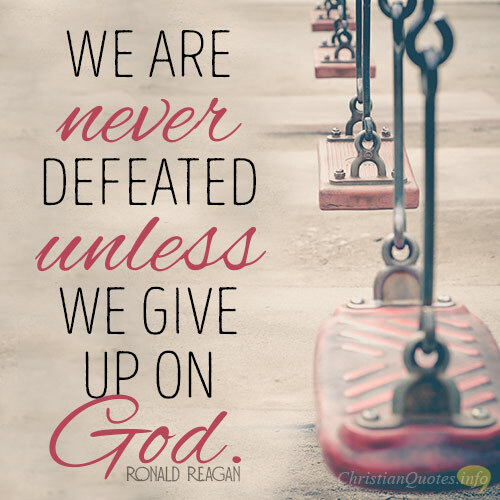 God called the reluctant Jeremiah (Jer 1), God called the Apostle Paul, who was “an apostle of Christ Jesus by the will of God” (Col 1:10), even if it meant striking him down on the Damascus Road. It was not by the will of man. 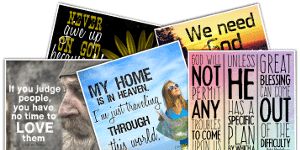 Even our calling to salvation is not form our own effort (John 6:44), as the Apostle John writes that God “gave the right to become children of God— children born not of natural descent, nor of human decision or a husband’s will, but born of God” (John 1:12-13). God doesn’t call the equipped but He equips the called. He gifts the person He calls for the job He has. God wouldn’t call someone to a ministry or work and then leave them ill-equipped. If God has called you to something, then He’s equipped you for that something, whatever it is. Now, find it! If God has called and equipped, then He will also provide the means to do it. God owns the entire universe and needs nothing from anyone, so trust God, because if He’s opened the door, He’ll provide the funding you need to walk through it. If not, either wait at the door, or find another door. 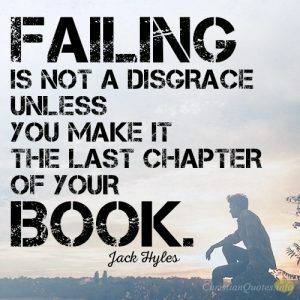 God would not call you to something and then not make it possible for you to do it. 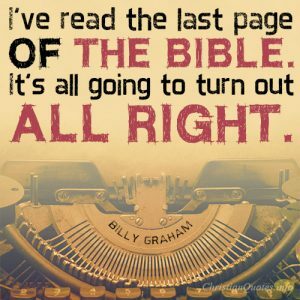 It was Paul himself that wrote, “I can do all things through him who strengthens me” (Phil 4:13), but this does not mean that Paul can do anything he wants, or he can do all things through his own strength. He admits it is “through him”, meaning Jesus Christ, that he could do all things. In fact, without Christ, we can’t even do anything at all for God (John 15:5). If God has called you, and equipped you, and provided for you, and then empowered, you, He will now enable you. An electric cord can empower a computer but plugging it in, enables that power to move. 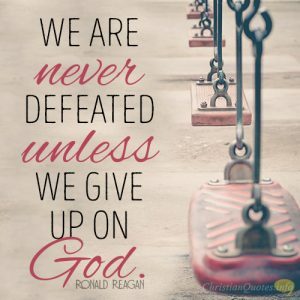 It is nothing until it is plugged in, like we can do nothing without Christ, but God will not leave our power cord unplugged. 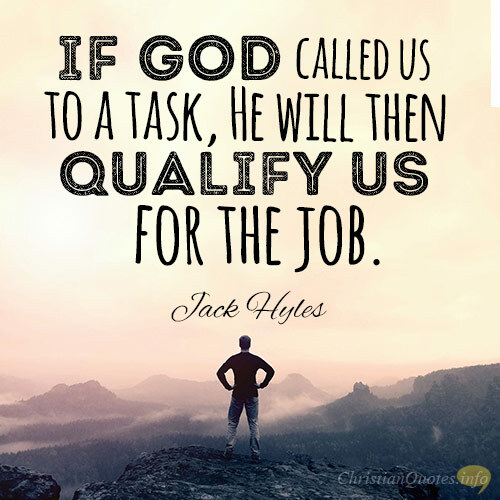 I absolutely agree with what Jack Hyles said, that “If God called us to a task, He will then qualify us for the job.” It would make no sense for God to call us to a task, but not qualify us to do the job. 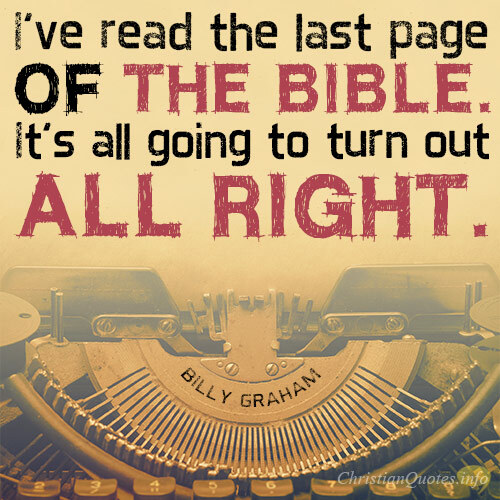 God always provides a way for His will, and we can have confidence in that.